Following the death of Luke Perry earlier in March after he suffered a massive stroke, those who knew him best are mourning his loss. 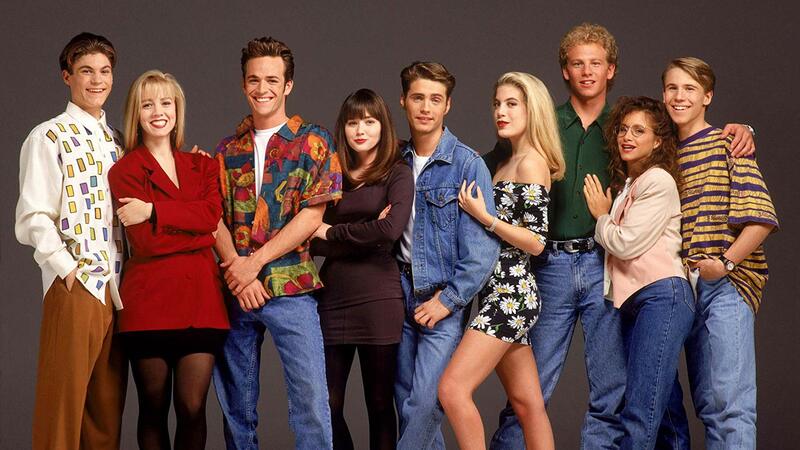 In a special tribute episode of his podcast (and as later reported by Us Weekly), Perry’s Beverly Hills, 90210 costar Brian Austin Green revealed that members of the original cast reunited to mourn Perry’s passing. He said they gathered with “mixed emotions” at fellow costar Gabrielle Carteris’ home, where they shared plenty of memories and leaned on each other for support in a difficult time. Per Us Weekly, Green noted that there were “fun” moments at the reunion, but also lots of silent moments, too. “We all knew that at some point we’d have to deal with losing cast members and friends, but not this soon. Not at 52. Not in such an abrupt way,” he said, per The Hollywood Reporter. THR notes that Green was the last of Perry’s former costars to react publicly to his death, though that doesn’t mean that Green wasn’t hugely impacted. Several of Perry’s Beverly Hills, 90210 and Riverdale castmates also reacted to his death on social media, with heartfelt Twitter and Instagram posts after his death. It’s been just two weeks since the news broke, but in the time since Perry’s untimely passing, fans and former costars alike have come together to remember his legacy and mourn him.